It’s a fact: The water levels of the earth’s oceans are rising. It’s a fact: the oceans are becoming more acidic due to rising concentrations of atmospheric carbon dioxide in the water. It is also a fact the increasing water acidity is creating intolerable conditions for many ocean species. Ecological and biological systems everywhere are likely to be severely impacted. Sustaining life (and living) will become more difficult on Future Planet Earth. If we continue our ecologically reckless burning of fossil fuels, even at the level we burn them now, the next children to see daylight are doomed. So are the rest of them that follow. Everyone knows people who can afford to fly to vacation trips over seas and routinely take them pollute the air and add the warming of the planet. Why shouldn’t they pay a heftier cost? Why should those avoid taking planes trips and thus put fewer greenhouse gas into the atmosphere be rewarded for helping to preserve our climate? The tipping point – of “positive global warming feedbacks”, such as more methane releases by the increasing thawing of the permafrost region; and increasing solar radiation absorption (heating) of the Arctic ocean waters due to white snow replacement with Arctic water which it darker, more sunlight-absorbing has already been reached in several biological/physical relationships. Once those tipping points are are reached, it will be exceeding difficult to reverse the trends. Global warming could take on the characteristics U.S. Secretary of State John Kerry recently described as: “the world’s most fearsome weapon of mass destruction”, and moreover that “the science of climate change is leaping out at us like a scene from a 3D movie… It’s warning us; it’s compelling us to act” (Kerry). Now President Obama is saying we need to attract more foreign tourists to our shores, because foreign tourists bring lots of money to spend in our country. But they don’t fly here on their own power! 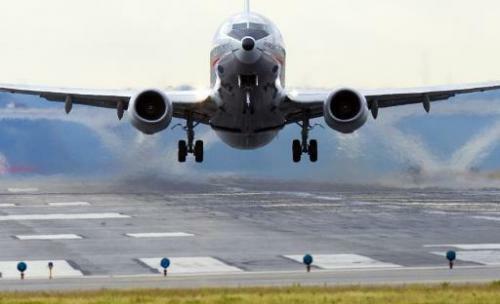 Flying long distances by jets burns huge quantities of fossil fuels, emitting millions of tons of carbon dioxide and other greenhouse gas high in the atmosphere, where they are less likely to remain for centuries and not get sequestered back into the biosphere. Not many Americans these days must be thinking about the meaning of those words. So many Americans in particular take round-trip flights by jet to far away places, yearly, which requires the burning immense amounts of fossil fuels, especially in take-off and cruising very long distances. The World Soccer Cup is three weeks away. The distance from Madison to Brazil World Cup is 4,612 miles. One shutters to think about how many planes will be flying to Brazil and back so their passengers can see the game in person. Earlier Thursday, Obama signed a presidential memorandum giving his homeland security and commerce secretaries four months to come up with a plan to streamline the entry process and reduce wait times. He also asked the departments to work with the 15 largest U.S. airports, following steps taken by Dallas-Fort Worth and Chicago international airports to cut wait times so tourists aren’t delayed. Obama acted two years ago to speed the processing of tourist visas for visitors from China and Brazil. On Thursday, Obama tackled the flip side of the problem: long waits for processing at U.S. airports and other ports of entry once tourists arrive. Fewer people will be discouraged from flying to the U.S. for vacation that way. Before departing for upstate New York, Obama met with 20 travel and tourism industry CEOs and senior executives, including Arne Sorenson of Marriott International, Mark Hoplamazian of Hyatt Hotels and Roger Dow of the U.S. Travel Association. Madison is 7,000 miles from China. Yet the Governor of Wisconsin (Scott Walker) and ones before him (Doyle) promoted visits and trade with China, as if the two were next door neighbors! The petroleum companies are laughing all the way to their Swiss bank accounts! A prime example here in Wisconsin is Wisconsin Public Radio (WPR) and Wisconsin Public Television (WPT) are sponsoring round-trip vacations for anyone who’s willing to pay them to arrange flights to Hawaii, Ireland, the Mediterranean, and New York City this year. More trips are being planned to other exotic places, as well. In addition to those people not spending their money to help out our state’s economy, those excursions contribute to the many tons of greenhouse gases from the jet airliners flying those tourists to their destinations and back to the Badger State over the course of those flights. I have informed WPR that flying by jet is without question the worst thing individuals can do if their goal is to minimize their greenhouse gas emissions. It appears they care only about making money off these excursions and care little or not at all about the perils of a warming planet they are helping to cause by arranging these exotic trips. It’s shameful. The next time you hop on a plane to go on an exotic vacation, or to give an important presentation at some far off land or worldwide conference, or go on a “required” business trip, or maybe just fly to the Olympics, the Super Bowl, the Rose Bowl, or maybe just go visit grandma, don’t just consider the cost of flight in dollars and cents. Please consider the “real” costs of such flights, including the substantial negative effects on our entire planet including the atmosphere of millions upon millions of similar airplanes flying all throughout the Earth every year, including the many military aircraft, as well. Yes, those jet airplanes and propeller driven airplanes burn significant volumes of fossil fuels every day in the world, in flight, taking-off and landing, thereby adding significantly to the increasing accumulation of the gas “carbon dioxide” (CO2) and other greenhouse gases that end up in the Earth’s atmosphere, daily, thus contributing to the increasingly grave rate of global warming of the earth, including the warming and acidification of the earth’s vast oceans.